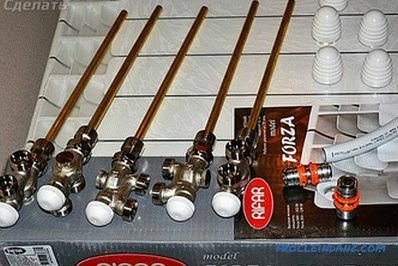 What should I do when the heating system spoils the look of the room? 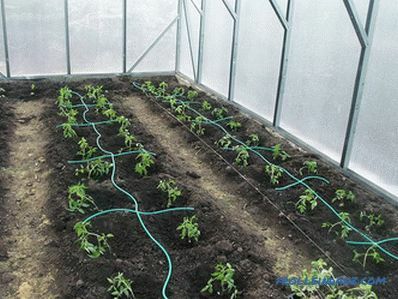 If you can also hide cast iron batteries behind the screen, or install more modern ones - bimetallic or steel ones, instead of them, then what about the pipes? 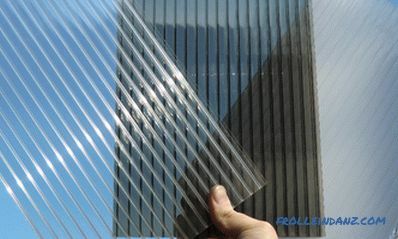 Some people cover them with curtains and curtains, while others make the bottom connection of radiators, as a result of which the battery strapping is almost invisible. Connection of ordinary radiators through the lower holes. With the help of a set of components from the bottom of steel or bimetal radiators. Purchase batteries that are designed for such a connection. Now let's look at the ways, pros and cons of various methods of bottom connection. The connection itself does not represent great complexity. 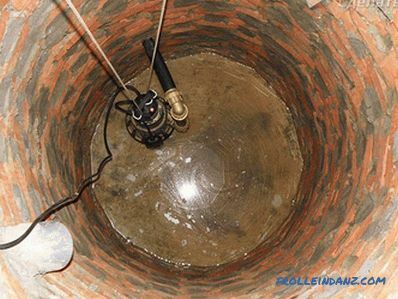 Pipes are located below - above the floor or hidden in the floor. 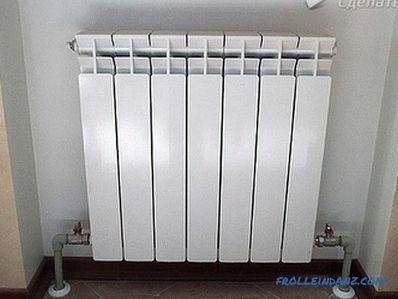 A radiator is mounted on the wall, and a pipeline is supplied to the lower holes. 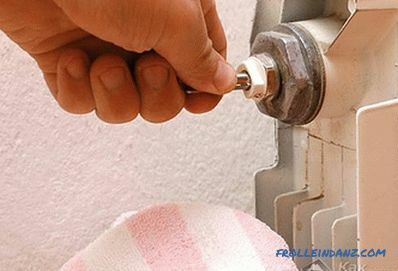 So that the battery can be removed without stopping the heating process, you need to install on both sides shut-off valves. In the upper hole (no matter which side) is installed air vent. Connection diagram Sometimes it is not possible to connect an ordinary radiator by connecting the pipeline to it from both sides. In this case, you can use the adapter. It is screwed into the lower hole, and a stainless steel tube is fed to the upper hole. 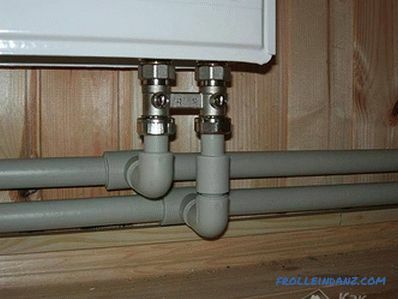 To the very same adapter heating pipes are connected to the bottom. You will get more information about this type of connection by watching the video attached at the end of the article. Bottom connection can be made using a flow extension cable. The device is twisted into the bottom hole and has no branches to the top. 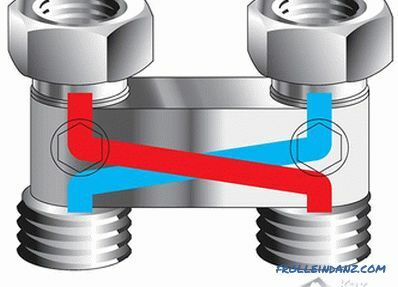 The circulation of the coolant occurs due to the fact that the water, passing through a tube in the middle of the radiator, leaves it at the end of the heater, rises, squeezing cold water through the outlet opening in the device. 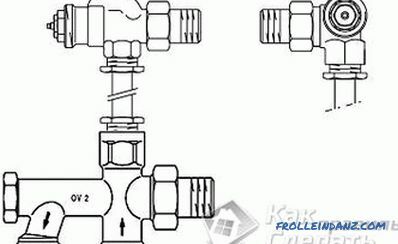 For self-flowing systems, this type of connection is not suitable. Now we will dwell on a more efficient and aesthetically acceptable lower connection method - from below, simultaneously describing its advantages and disadvantages. It is possible to install an adapter flow directions. 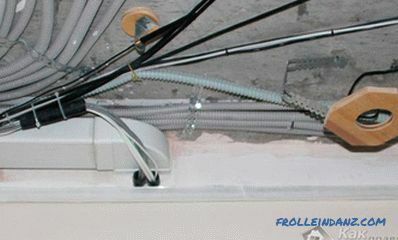 Both connections go straight from the battery to the floor or to the wall (or pipes above the floor). 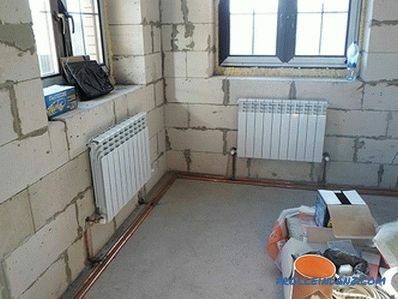 When buying radiators with a bottom connection, you do not have to worry about purchasing a suitable thermostat, since it is already installed there. The air vent must be installed on each battery. Warming is less uniform and less effective. Cannot be used for self-flowing heating systems. It is necessary to constantly use a circulation pump. sill - 10 cm (minimum distance of 5 cm is allowed). 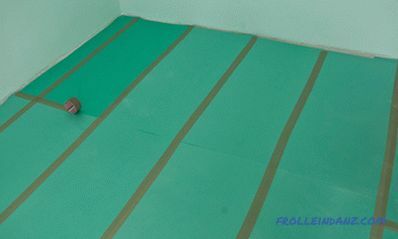 When purchasing a fastener, it is important to take into account the thickness of the installed thermal insulation with a reflective layer (if it will be). In this case, you need hooks-clamps slightly longer. Between the floor and the battery. 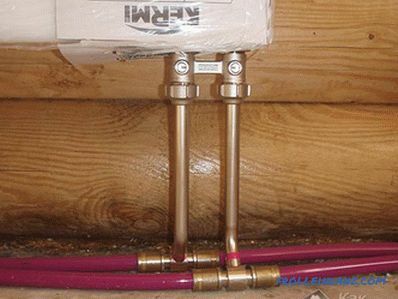 The location of the pipes does not affect the efficiency of the heating system - they are hidden for aesthetic reasons. It is important to first install the batteries, calculate their number for each room, and then supply the pipes to them. 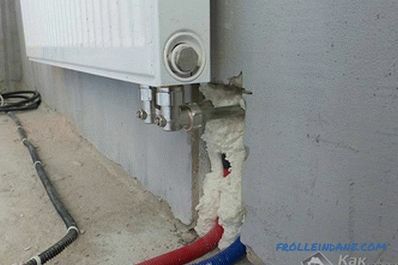 If you follow the recommendations described in this article, then you should have no difficulty installing a heating system with a bottom connection. You can share your work by leaving a comment at the end of the article - it is very important for us that the material in the article is as complete and understandable as any person who is used to doing any kind of work with their own hands.